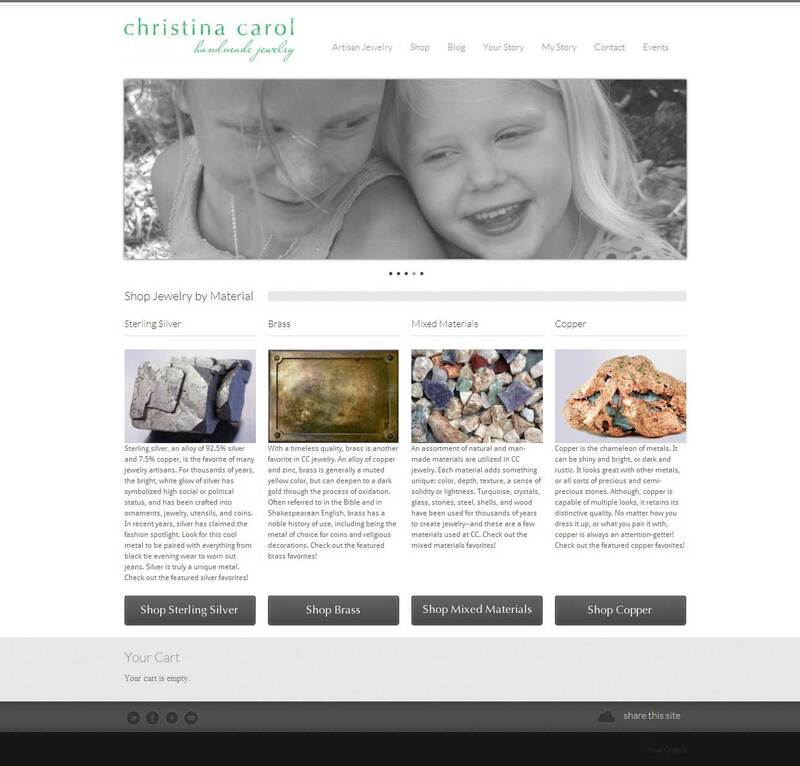 Minimalistic eCommerce site for a local artisan who crafts various types of hand-made jewelry. This gal does cool work. She wanted a simple and elegant design without too many textures or clutter, so that visitors’ focus would be directed to her stones and metals, rather than a complex background. We decided to go with a lot of white on this site, to create a strong contrast between the colorful tones of copper, turquoise, and sapphire.